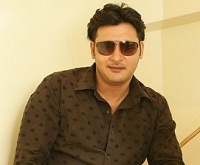 Tamil actor Abbas was born on 21st May 1975 in Calcutta city and brought up in Mumbai. He never thought of pursuing acting career, he always dreamed of becoming Air Force pilot. But when he couldn’t do that he took acting seriously. Since from his childhood days he was into the modeling, he worked with Suman Ranganathan, Dino Morea, Rahul Dev etc. He moved to Bangalore to pursue modeling seriously. Impressed by his modeling work film maker K. T. Kunjumon offered him lead role in Kadhal Desam in 1996 opposite Vineeth and Tabu. 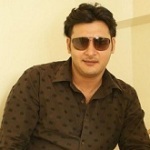 He later worked for Hindi pop album Yeh Hai Prem in 1999 and several commercials. 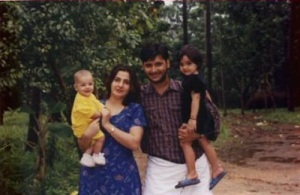 Subsequently Abbas appeared in numerous commercial hits like V.I.P co-starring Prabhu Deva, Rambha and Simran, Pooveli co-starring Karthik, Kausalya and Heera, Raja co-starring Venkatesh, Soundarya and Brahmanandam, Padayappa co-starring Rajinikanth, Sivaji Ganesan, Ramya Krishnan and Soundarya, Malabar Police co-starring Sathyaraj, Kushboo and Mumtaj, Kandukondain Kandukondain co-starring Mammootty, Ajith Kumar, Aishwarya Rai and Tabu, Minnale co-starring Madhavan, Reemma Sen and Vivek, Aanandham co-starring Mammootty, Murali and Sneha, Pammal K. Sambandam co-starring Kamal Haasan, Simran and Sneha, Shock co-starring Prashanth and Meena, among other films. Apart from films he is also ventured into Television series with Dharmayutham in 2012, Vaidhegi in 2014 aired on Jaya TV. 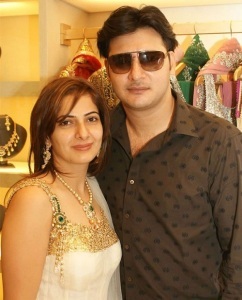 Abbas is married to fashion designer Erum Ali. The couple gave birth to a son named Aymaan and a daughter named Emira.